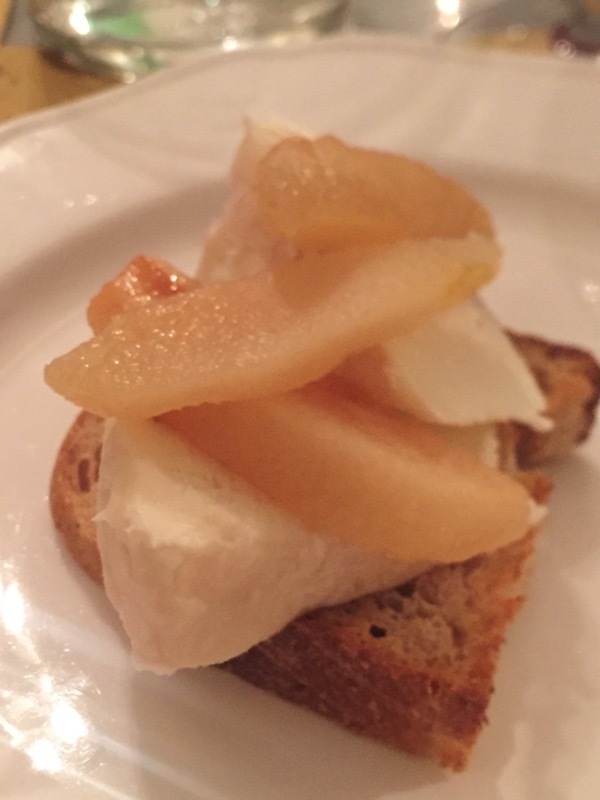 I attended a Bologna Hills food and wine tasting evening the other day at well known Italian restaurant Burro E Salvia in East London recently. The Consorzio Vini Colli Bolognesi was in town to show off the delicious pastas, meats and wines of the region. Situated in the hills surrounding Bologna, it is the capital of the Emilia-Romagna, a region of north eastern Italy that runs from the inland hills to the seaside and sits below Venice and above Rimini on the Adriatic Sea. Bologna is famous for its fresh egg pasta, tortellini, tortelloni and tagliatelle, Mortadella and both its red and white wines. We were treated to a demonstration of pasta making by a sfoglina on arriving. She expertly made up the dough and rolled out the pasta in a flash. 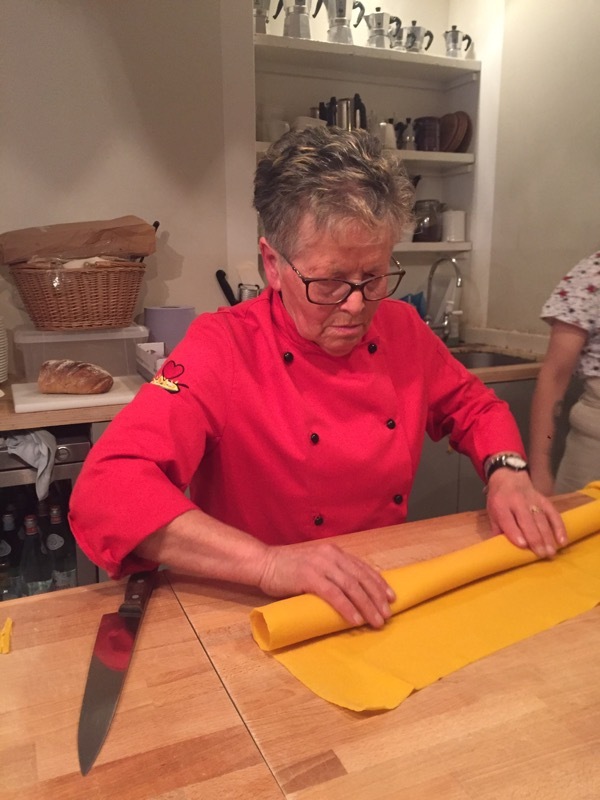 Afterwards, she took the yellow dough and proceeded to roll out tagliatelle, all of which looked delicious. While we were watching the demos, there were a few of the wines of the region to taste. 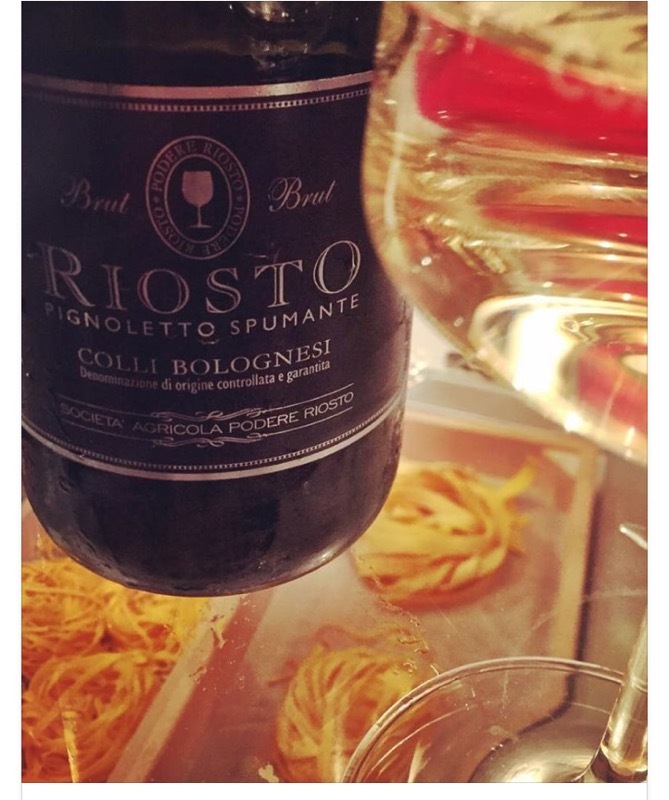 Pignoletto is a frizzante style of wine, which means it has bubbles but not as big as prosecco nor as tiny as champagne. Until recently, the grape was referred to as Pignoletto but it has now been established through DNA testing that it is actually Grechetto. 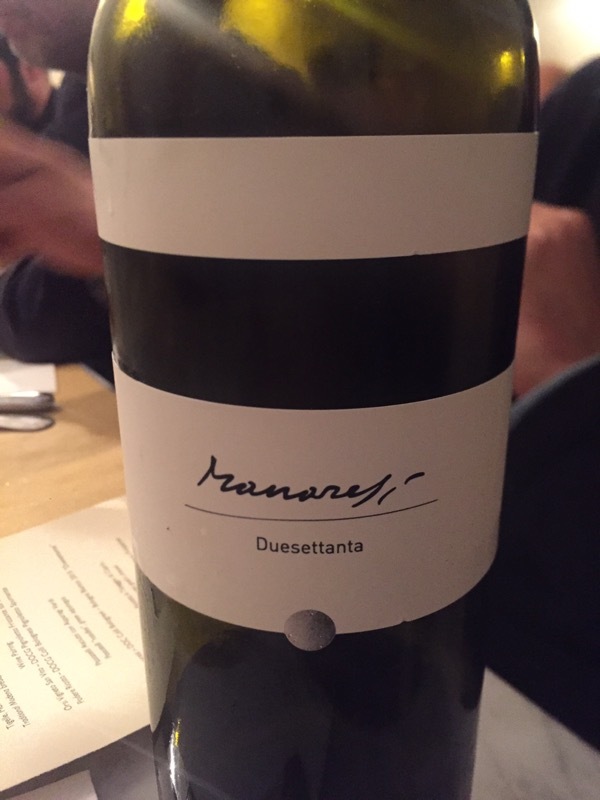 The wines are made by the Charmat method and the ones we tasted were fruity but dry and not sugary sweet. 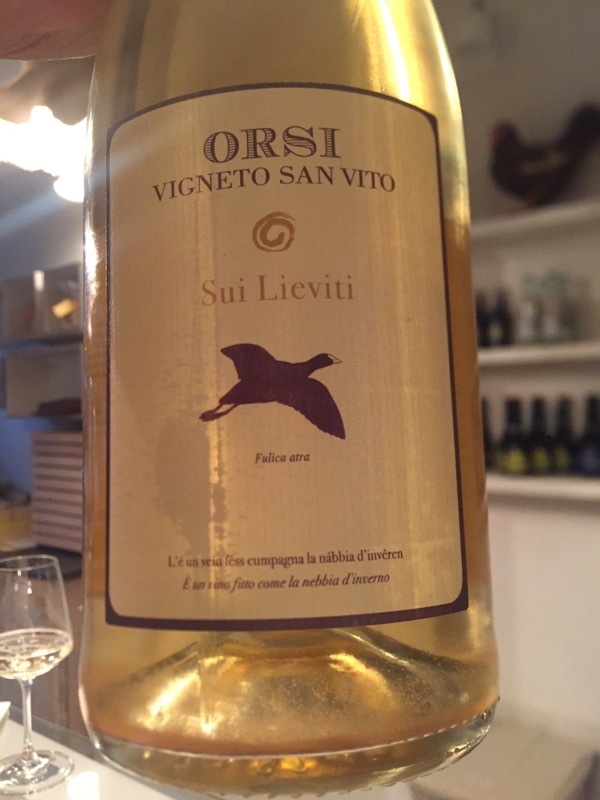 The Bolognesi are particularly focusing on biodynamic and organic wines and there was an unfiltered Pignoletto on tasting as well as a biodynamic, frizzante Barbera which I thoroughly enjoyed. 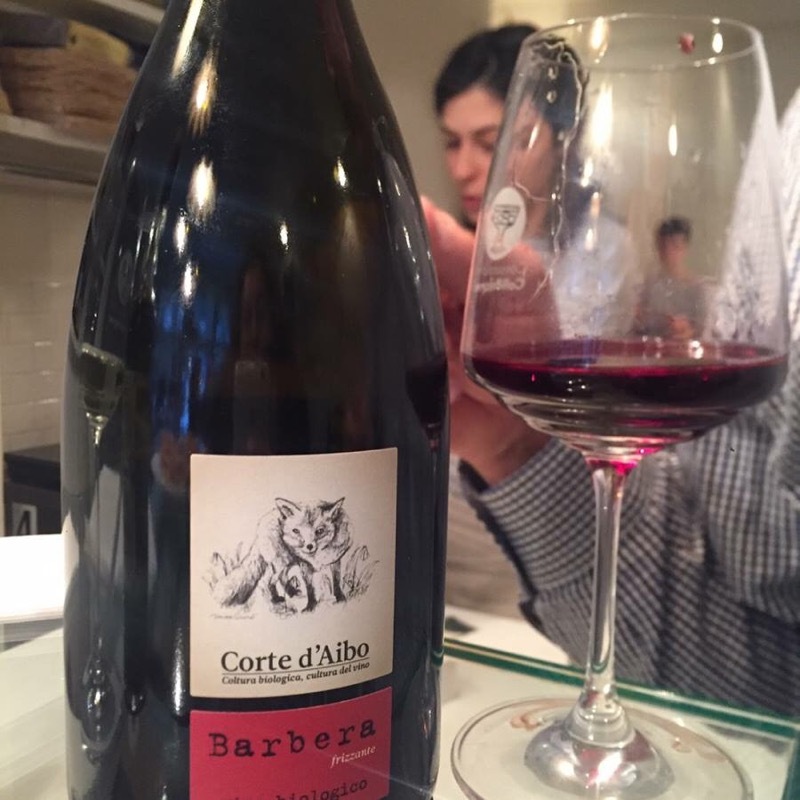 The Corte d’Aibo Barbera Frizzante was dry but very morish and great either with or without food. We also tried a few of the dry Pignolettos, which were well made, dry and supple, these are wines that are definitely made to go with the food of the region. 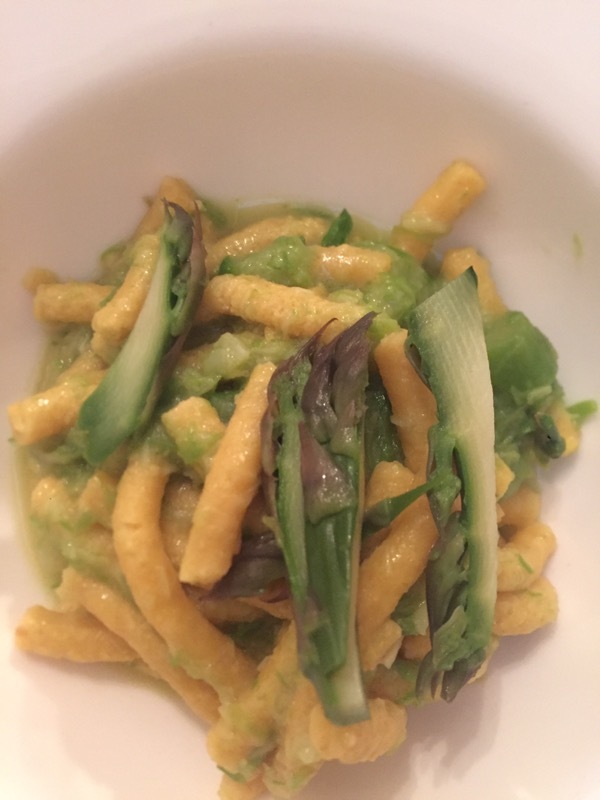 After the tasting, we were served up the delicious pastas of Burro e Salvia matched with the wines from the tasting. 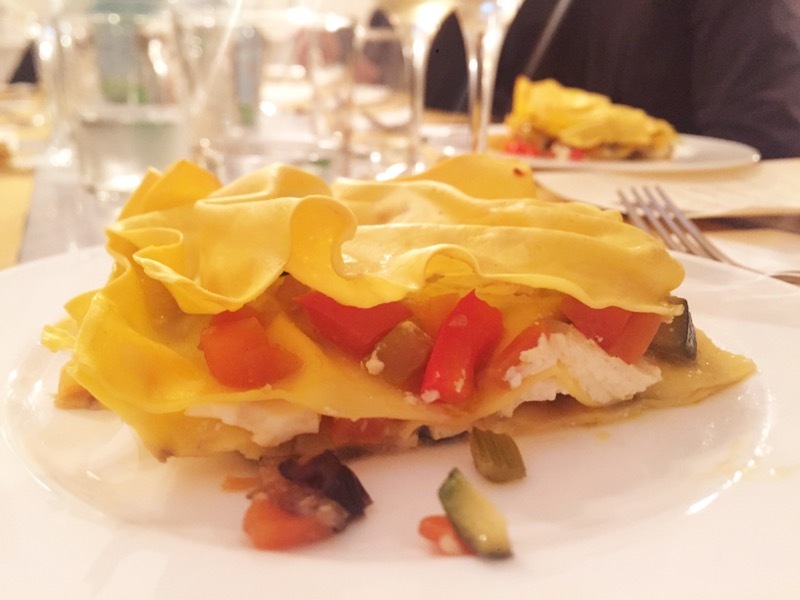 I very much enjoyed this introduction to the food and wines of Bologna and hope to find out more in the future.